Thomas J. Oppold is a registered patent attorney with more than 20 years of experience advising clients in all areas of intellectual property. Tom has prepared and prosecuted more than 1,800 U.S., foreign and international patent applications covering a broad range of technologies and industries. With his agricultural engineer degree and his experience working as a structural design engineer and field engineer, combined with his farm background by which he learned to operate agricultural equipment and heavy machinery, Tom has developed a particular niche with clients in the agricultural, construction and industrial equipment industries. Tom is an experienced litigator successfully representing clients in patent, trademark, trade dress and copyright infringement litigation. 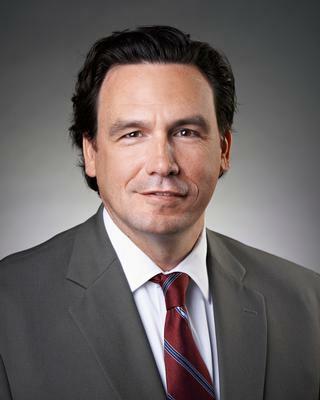 He also has extensive experience crafting and negotiating complex IP licensing agreements and technology transfer agreements, whether in connection with resolving legal disputes or for clients seeking to acquire, sell or license their intellectual property portfolios. Prepared and prosecuted more than 1,800 U.S., international and foreign patents covering a broad range of technologies and industries. Represent patent owners defending against invalidity challenges through Inter Partes Review proceedings before the Patent Trial and Appeal Board. Represent patent owners defending against invalidity challenges through third party Ex Parte Reexamination proceedings before the Patent Trial and Appeal Board. Represent patent owners seeking reissues and reexaminations of their patents. Represented licensor in drafting and negotiating patent license agreement and related technology consulting agreement with 3M Company for exclusive and non-exclusive rights for certain fields of use and technology development involving Eddy current technology. Represented licensee in negotiating international patent license agreement with Life Technologies, Inc. (now Thermo Fischer Scientific, Inc.) under which licensee obtained exclusive and non-exclusive rights to practice patents for gene editing (TALEN) technology. Represented licensee in negotiating international patent license agreement with Cellectis Bioresearch under which licensee obtained exclusive and non-exclusive rights to practice patents for gene editing (TALEN) technology. Represented licensee in negotiating exclusive and non-exclusive license rights with Indiana University Research and Technology Center for rights to certain swine genetics. Represented licensees in negotiating exclusive rights under plant patents, plant variety rights and trademark rights from University of Minnesota for the Sweet Tango® apple and HoneyCrisp apple variety. IP counsel responsible for IP due diligence responses and negotiating IP representations and warranties involved in $250 million acquisition of client’s patent and trademark portfolio and other assets by Monsanto. IP counsel responsible for IP due diligence review and negotiating IP representations and warranties involved in various sales and acquisitions of IP and other assets. Headsight, Inc. v. Deere & Company (N.D. Ind., Case No. 14-cv-00575) Represented plaintiff in on-going patent infringement action against Deere for infringement of Headsight’s patent for a header height control system. Case stayed pending outcome of Inter Partes Review filed by Deere and Ex Parte Reexamination filed by Deere. Regents of the University of Minnesota v. Recombinetics, Inc. (Minn., 62-cv-16-3356) Represented defendant in on-going action involving contract dispute over intellectual property rights. Genesis Attachments, LLC v. Detroit Edge Tool Co. (W.D. Wis., Case No. 16-cv-00402). Represented plaintiff in on-going patent infringement action against Detroit Edge for infringement of patent covering demolition shear piercing tip. Case stayed pending outcome or ex parte reexamination proceeding. Genesis Attachments, LLC v. Exodus Machines et al. (W.D. Wis., Case No. 15-cv-00462) Represented plaintiff in patent infringement action against Exodus et al, for infringement of demolition shear piercing tip. Case was settled. Prestige Flag v. Par Aide Products Co. (S.D. Cal. ; Case No. 14-cv-02711) Represented defendant accused of infringing Prestige’s patents and trade dress for golf flag stick reflectors. Defeated Prestige’s motion for preliminary injunction with the court finding Prestige’s patents were likely invalid and Prestige had no protectable trade dress rights. Obtained favorable settlement outcome for client. 3M Innovative Properties Co. v. Farecla Products, Inc. (D. Minn., Case No. 13-cv-02019) Represented defendant accused of infringing 3M patents for finishing compounds with reduced VOCs. Case was settled. Triumph Sports v. EastPoint Sports (E.D. Wis., Case No. 13-cv-00052) Represented defendant accused of infringing Triumph’s patents for rotatable game tables. Case was settled. Home Products Int’l et al. v Hampton Direct (S.D. Fl., Case No. 11-cv-81293) Represented plaintiff in design patent infringement action against Hampton for a clothes hanger. Case was settled. Moose Mountain Toymakers v. Majik Ltd. (D. N.J., Case No. 10-cv-4934) Represented defendant accused of infringing Moose Mountain’s design patents for childrens’ toy bowling game, for tortious interference, unfair competition and unjust enrichment. Obtained judgement on the pleadings in favor of our client on the grounds that any non-functional, ornamental features covered by the design patents were not found in the accused products and offering a product at a better price than the patent owner does not constitute tortious interference, unfair competition or unjust enrichment. 3M Innovative Properties Co. v. Louis M. Gerson Co. (D. Min., Case No. 08-cv-04960) Represented defendant accused of infringing 3M’s patents for disposable liners for automotive spray guns. Case was settled. Midwest Industries v. Karavan Trailers, Inc. (175 F.3d 1356, Fed. Cir. 1999) (en banc) Took over case and argued appeal to the Federal Circuit, representing plaintiff-appellant, Midwest Industries, Inc. (“Midwest”) after district court granted defendant summary judgment that Midwest’s trademark and trade dress infringement claims for curved winch post designs for personal watercraft trailers were barred by federal patent law. The Federal Circuit ruled en banc, that Federal Circuit, not regional circuit law governs such issues and overruled those decisions holding to the contrary. The district court was reversed and the case was remanded. The case subsequently settled before trial. Drake University Law School, Des Moines, IA, 1996, J.D. South Dakota State University, Brookings, SD, 1989, B.S.